Tania, an Australian mother of two, who urgently needs a bone marrow transplant to save her life. Tania was diagnosed with Acute Myeloid Leukemia (AML) in May 2016. 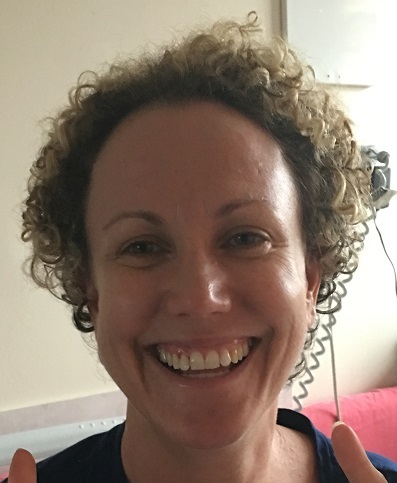 Having completed her fourth round of intense chemotherapy, Tania is waiting to hear that the Australian Bone Marrow Registry has found a suitable bone marrow donor on the world-wide registry. Tania, like many, has a mixed heritage; her father is from the Balkans (Croatia) and her mother’s heritage is from the British Isles. Ethnicity is one of the main factors in bone marrow donor matching, but the world’s volunteer bone marrow donors do not currently reflect the ethnic diversity of the population with only 3% of donors on the worldwide registry identify as mixed-race. Because suitable bone marrow donors are most likely to be found in people with a close ethnic heritage, having more donors of mixed-race on the registry protects everyone.